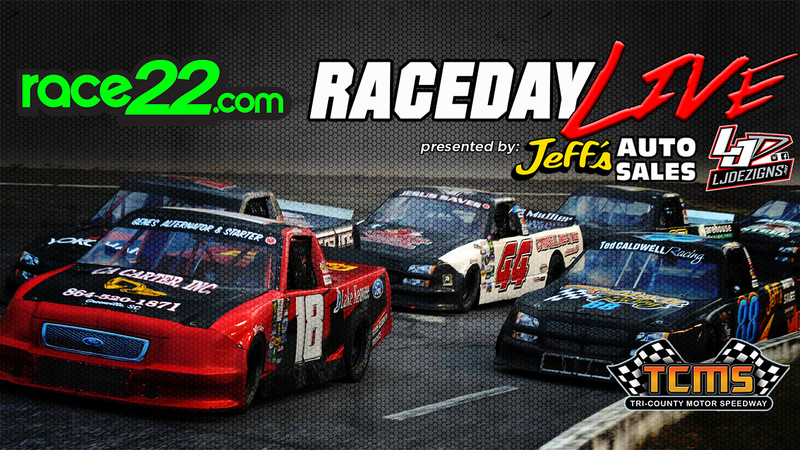 Welcome to RACEDAY LIVE presented by Jeff’s Auto Sales & LJ Dezigns of the season opener for the Southeast Super Truck Series, SEST Limiteds & Southeast Legends Tour at Tri-County Motor Speedway in Hudson, NC. Coverage starts at 4:00pm with qualifying. CLICK HERE for Mobile/Tablet Version or if you’re having trouble viewing images below. Langley founded what you see today because he saw a gap in coverage for Late Model Stock Cars (LMSC), which race primarily throughout the southeast region. His passion and determination for LMSC helped grow the brand of not only Race22.com but the reputation of LMSC racing. He still leads the charge here today while he also works to help some of the regions tracks with their graphics, social media and promotion as well as promoting races and tracks from time to time to continue the growth of short track racing.